Dallas SUV Rental Transportation Service provides the largest options for Cadillac SUV's and Suburban SUV's. From 6-7 passenger capacity, these SUV's offer an affordable luxury option for all transportation needs. SUV's are popular for airport shuttling, Black Car Services, Weddings and more! Experience top class transportation services any day of the week with a wide variety of Models, colors and pricing for every possible event around Dallas. Check out all the available service options for your next event. Airport Transportation and Shuttle Services with any SUV, Cadillac Escalade or Suburban with great luggage space. Our luxury SUV's are the perfect vehicle for all Black Car Services around Dallas. Professional Chauffeur services for all Sedan and SUV transportation rental services. Travel to any of Event around Dallas and surrounding counties for very affordable prices in all our SUV's. 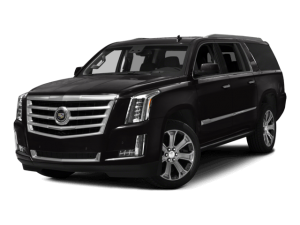 Surprise your significant other with a private luxury SUV like a Cadillac Escalade for your next Anniversary Celebration. Celebrating a Birthday or Milestone, consider an SUV Rental for up to 7 passengers. Black SUV's, Cadillac Escalade and Suburban available at all times for Funerals, Wakes and Memorial Services. Alternative option to a sometimes expensive Limousine or Party Bus, take up to 3 couples in a safe classy SUV to your next Homecoming Dance. We know Prom can get expensive, so if it is a small group, you still get a personal driver and safe transportation with an SUV Prom Transportation Service. White SUV's are always available for Quinceanera and Sweet 16's around Dallas. Get dropped off and picked up right at the front gates for your next Concert in Dallas in an SUV. An SUV is a great option if you have a small group for your next Dallas Wine Tour. Very affordable so you can spend more money on the wine you like. Take up to 6 of your friends on your next Brewery Tour around Dallas and surrounding counties in one of our comfortable SUV's. Great for small Bachelor Party Groups, book an SUV for our hourly services to take you anywhere around Dallas. If you have a small group but spent all the money on the Bachelorette Party Events and Venues, an SUV your top choice for affordable luxury transportation. When a Class or Vintage car is just not affordable, reserve a White Cadillac Escalade SUV for your Wedding Getaway Car. Shuttle all your Wedding Guests to and from your Wedding Venue and Reception with a stylist SUV.